The design almost every Storm PBA tour player was demanding to be brought back. With the Catalyst Core, you, too, will bear witness to unprecedented power, increased entry angle, and a greater margin for error with its dynamic asymmetrical design and vertical cavity technology. The benefits of SPEC Solid Reactive can be truly appreciated on heavier conditions, especially when they begin to transition. When this coverstock encounters midlane friction, it digs in harder, unlike anything Storm has produced to date. In the heart of the ball lies the innovative Catalyst Core. The genius the design is in the cavity which lets the driller remove less mass with most layouts. No more second guesses or shots in the dark. The ease of drilling is self-evident in this design. This ball is freaking awesome, used it on Friday leagues, first time, shot a nice 256. Smooth on the lanes with a outstanding back in break. Great carry. I recently picked up the Crux Prime and before I even got use to it, I could tell it is an amazing ball. I could roll with a big hook or a little to no hook and be consistent with it. I cannot wait to learn this ball more!! This ball destroys pins ! 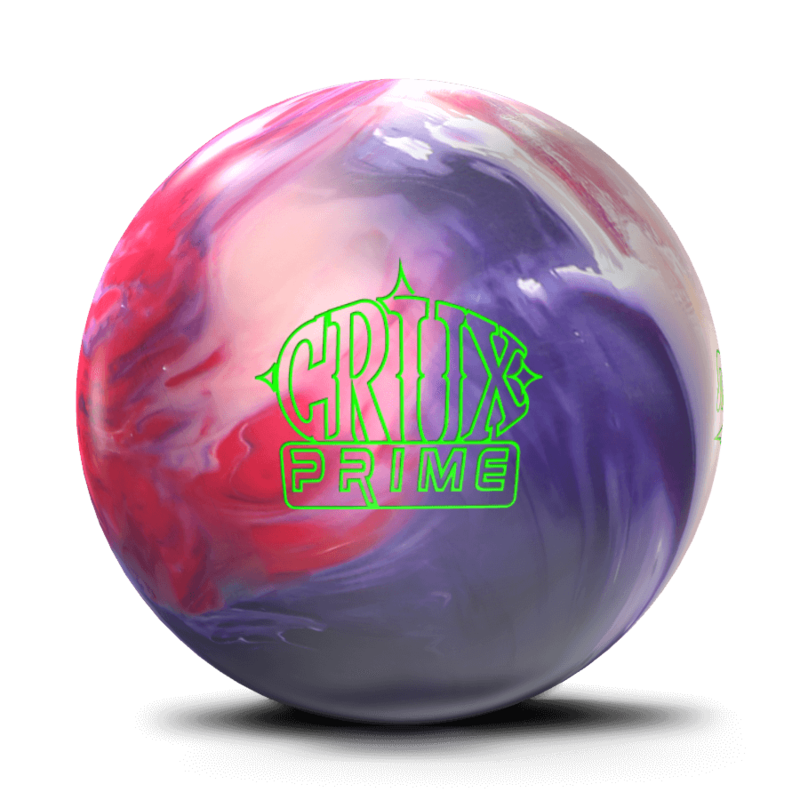 After watching the Crux Prime destroy the pocket ,I new this was a special ball. I watched a bowler in a youth travel league shoot 300,279 267. I am very excited because I had one drilled tonight for my son. All I can say is, Wow! This ball crushes the pocket. I'm able to use the whole lane with this ball. Typically, for me, I can't get left of 18 with an A-Sym ball without leaving flat ten pins. But, the Crux Prime makes the turn, and still finishes! Must have in your bag!! Crux prime is a must!! Check out my crux prime ball reaction video. This ball hits hard and carries the power through the pins!! Highly recommended!! The first two times that I used the Crux Prime (OOB) in my league I bowled 778 & 766. I have been using Storm bowling balls for more than 20 years and have never been disappointed but the Crux Prime is one special ball. This ball has great midlane read, continuation and carry. That being said, I'm looking forward to my next league night! I love this ball !!! It is like no other .... it is strong and crushes the pins. A must have for any bowler. This ball is unbelievable. Storm really made something special when they came out with this masterpiece. Right out the box i threw numbers of 267,246,225. The ball is a strong piece, but very forgiving. The one thing I love is it doesn't overreact when it sees friction. It comes of the spot very smooth for me. Also, it hits like a mac truck...omg its sounds like a explosion of dynamite. You cant go wrong with picking up one of these. Having thrown most of the Storm lineup I can honestly say that this ball is a game changer. Not only can it be used on the heaviest sport patterns, it can be your favorite league ball too. It didn’t matter how far I moved left the Crux Prime still cornered. The 300 game I shot on the first night of league was proof enough to me that we had something special in the Crux Prime.